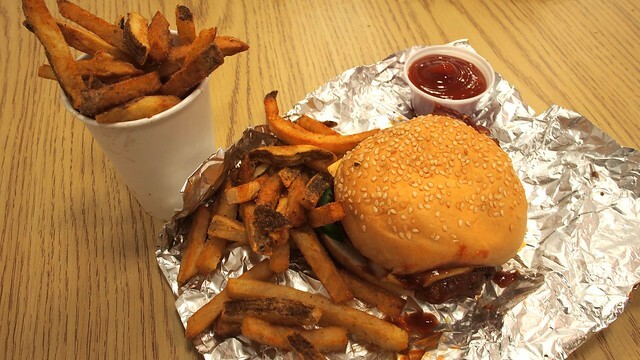 Lunch at Five Guys Burgers and Fries on Robson Street on June 15 and 20, 2013. I finally got around to trying this famous fast food and burger joint from the American Mideast at their newest Robson location downtown. The basic menu, red/white decor, and American feel reminded me heavily of the popular (and frankly, overrated) In-N-Out Burger franchise also from the States. I ordered the cheeseburger with raw onions, ketchup, mustard, jalapeños, and barbecue sauce. FYI, a "burger" comes with two patties and a "little burger" is a single patty. My favourite part is choosing all the random toppings and sauces from their menu. I tried it with bacon before and preferred the gooey cheese slices. I also had a side of cajun style fries. Don't ever order any size fries bigger than the small. It may come in a small cup, but they pour a bunch more into your bag. I wasn't really a fan of the cajun seasoning, but the fries were crisp and tasty. 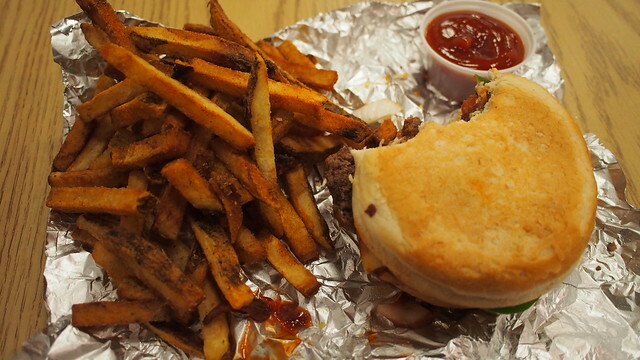 I really enjoyed Five Guys. 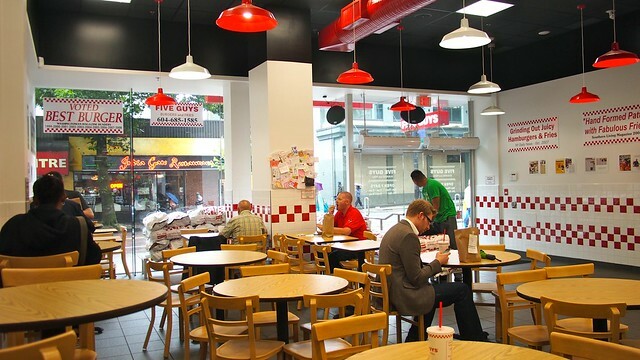 Their made to order burgers are clean and fairly delicious. I've been back a couple times since my first visit. 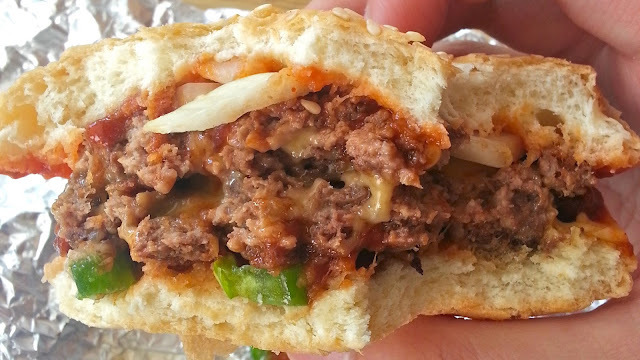 Honestly, I stick to getting just a cheeseburger as a filling and satisfying enough lunch. I, personally, like it better than In-N-Out, but I've only been there once in Las Vegas.